Reminiscent of a sandy tropical beach, the Islamorada collection of decorative accessories by Zodax features weathered finishes, nostalgic motifs, and a neutral palette that turn any home into a coastal retreat. 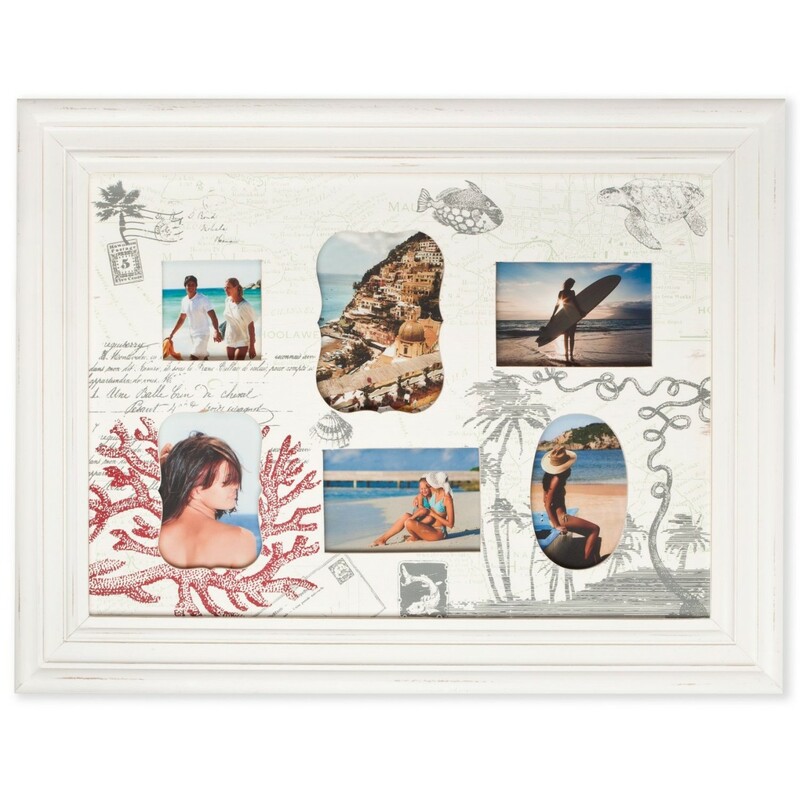 This Largo six-opening wall-mount picture frame features an antiqued wooden frame and a mat decorated with a tropical beach vacation motif. Collage-style layout holds six photos of varying sizes. Frame measures 28 inches long by 21-1/4 inches wide. Click the button below to add the Islamorada Largo Six Opening Wood Wall Frame made in Thailand to your wish list.